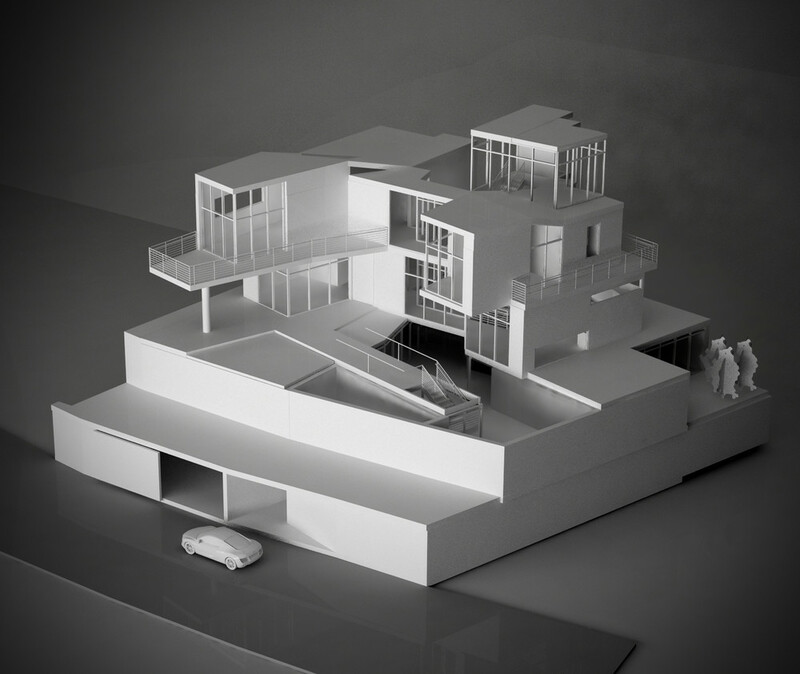 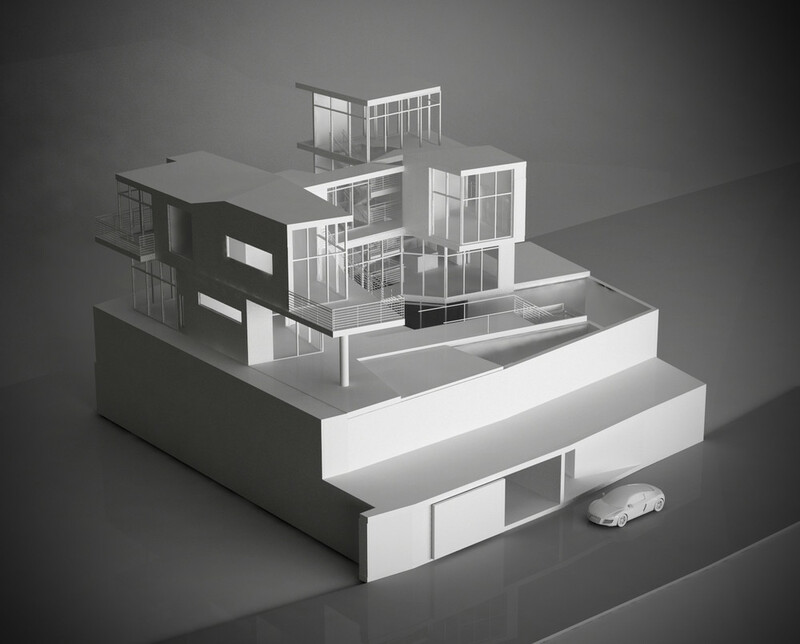 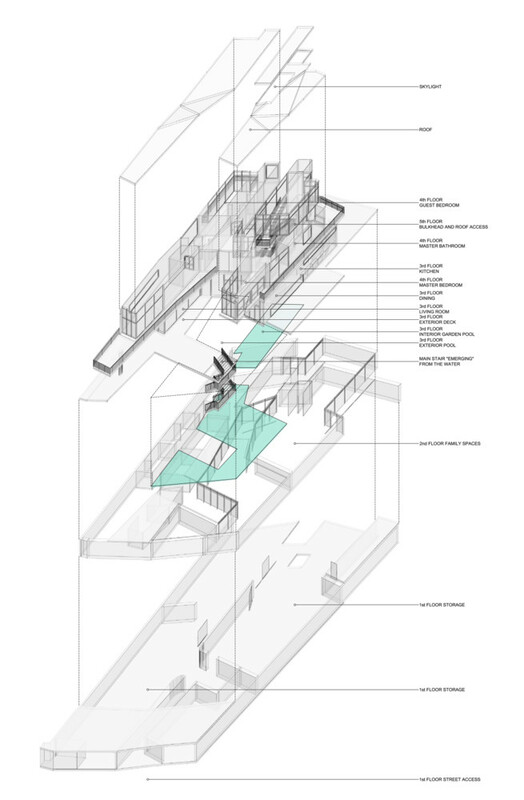 The Villa is articulated as a "Vertical Overlap" as the main entry into the house is from the lower level garage. 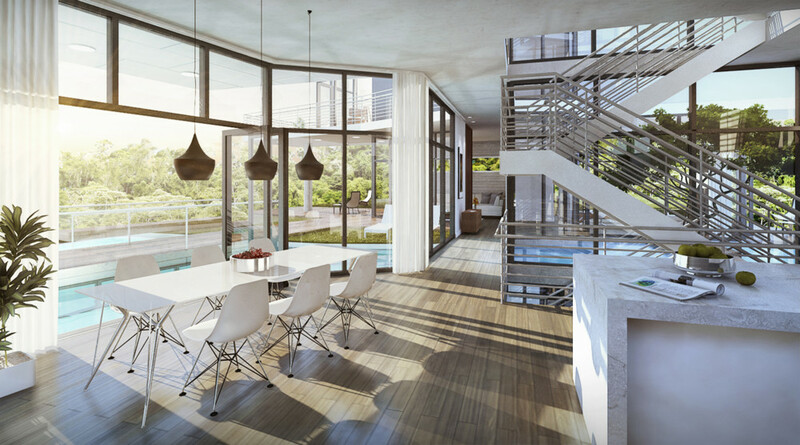 The stairs from the garage emerge through the pool at the garden level and enable the Owner to experience a sense of purification and transition as it leaves the hustle of the business world behind and enters into his Domestic Retreat. 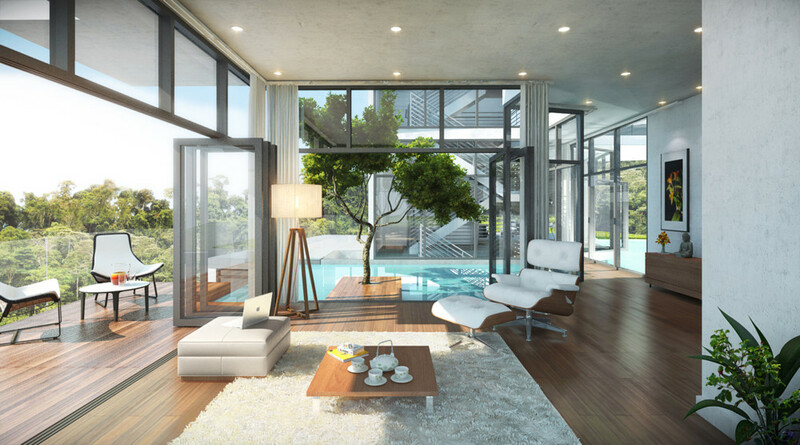 The Pool, symbol of Life and Purity, extends into the inner courtyard, where a solitary tree is planted, as a center and pivot for the house upper levels rotation and splitting.